Larry Nance Jr. has been posting career highs this season for the Cleveland Cavaliers, and his ability to do that is owed much in part to the Cavs. When Nance’s body was failing him as a child, the Cavs’ insurance plan helped cover the costs. Joe Vardon of The Athletic detailed how the Cavs had a life-altering impact on Nance. “But when he was a teenager, Nance’s body was failing him. 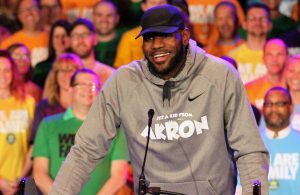 Doctors at Cleveland Clinic diagnosed him with Crohn’s, and they wanted to treat him unconventionally,” Vardon wrote. “Nance was 16 and a sophomore in high school, and he’d stopped growing. Doctors feared the usual course of treatment at the time — steroids — would not reverse the impact the disease was having on his development, and waiting too long to try the steroids before the new medication might make his stunted growth irreversible. Due to the impact that Crohn’s disease can have on a person’s body, it’s possible that without this treatment, Nance would have never played in the NBA. He knows what he owes to the organization that he now suits up for night in and night out. “When I say coming back here, it was … this organization has been doing a lot for me since before they knew they were,” Nance told The Athletic. He also admitted, that without the Cavs’ help, he’s not sure how his family would have been able to get Nance the treatment he needed. 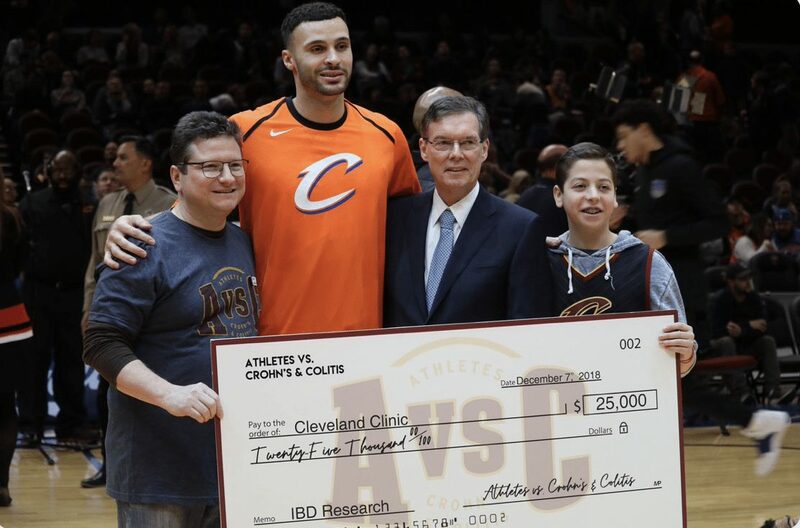 Thanks to Nance’s success of treating his illness and his success on the court, he has been able to become a prominent face in the fight against Crohn’s disease. This season, Nance’s foundation, Athletes vs. Crohn’s & Colitis, bought tickets to 10 games for families impacted by bowel disease. The families get the chance to meet with Nance before the game. Nance has also given quite a bit of financial support for research at the Cleveland Clinic and New York’s Mount Sinai Hospital. On top of that, Nance is posting career highs in all major statistical categories this season, averaging 9.0 points, 7.5 rebounds, and 3.1 assists per game. It’s clear that he is taking advantage of his success to try to make the future a brighter place for those who struggle with similar illnesses. In the end, he knows how lucky he truly is.